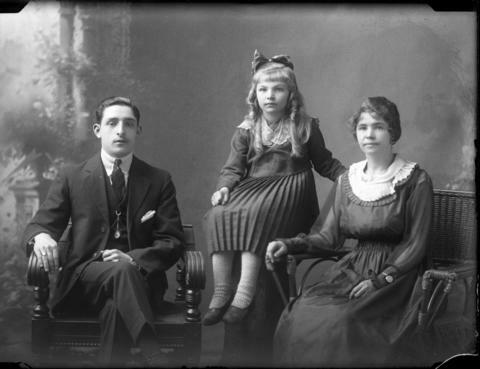 Item is a 3/4 pose portrait of the Melisse family. The photograph shows (from left to right): John Melisse; Helen Lisson; and Emilia (DeBodt) Melisse. Helen Lisson is Emilia's daughter with first husband, Gus Lisson, who was killed in a mine explosion. Emilia and John were married for over 50 years.